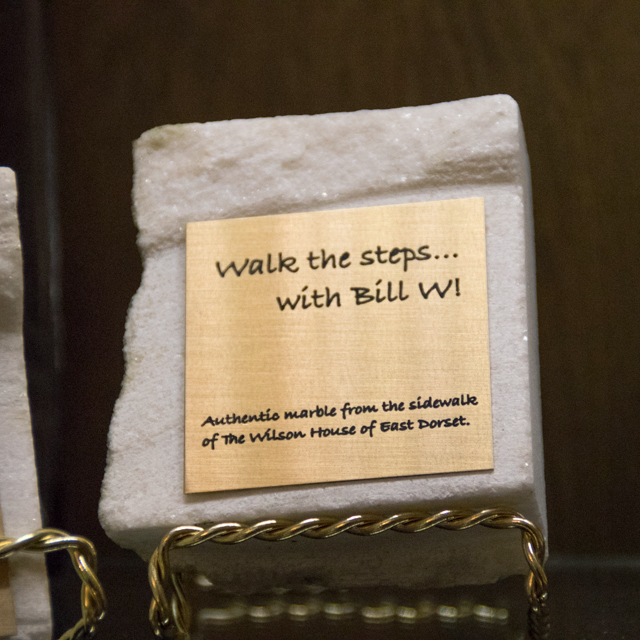 Limited Edition one of a kind marble paperweight with brass plate, cut from the original marble sidewalk installed at The Wilson House in 1880. 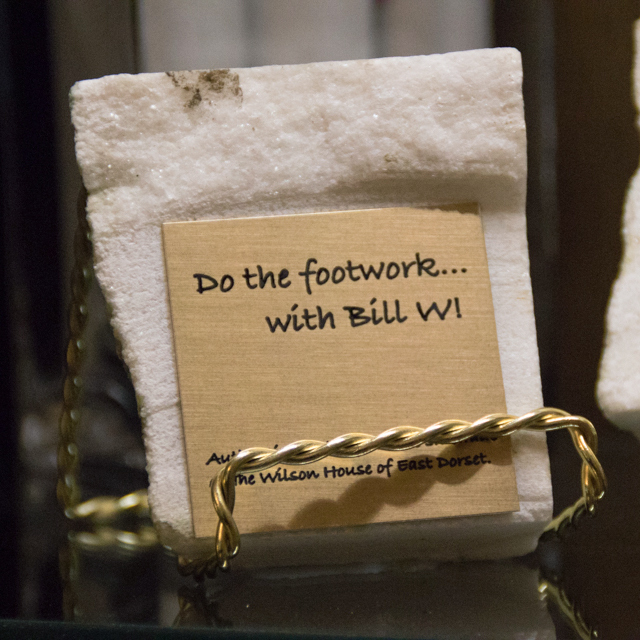 This historic marble was walked on by Bill W. and countless other grateful visitors and guests that have come to The Wilson House. 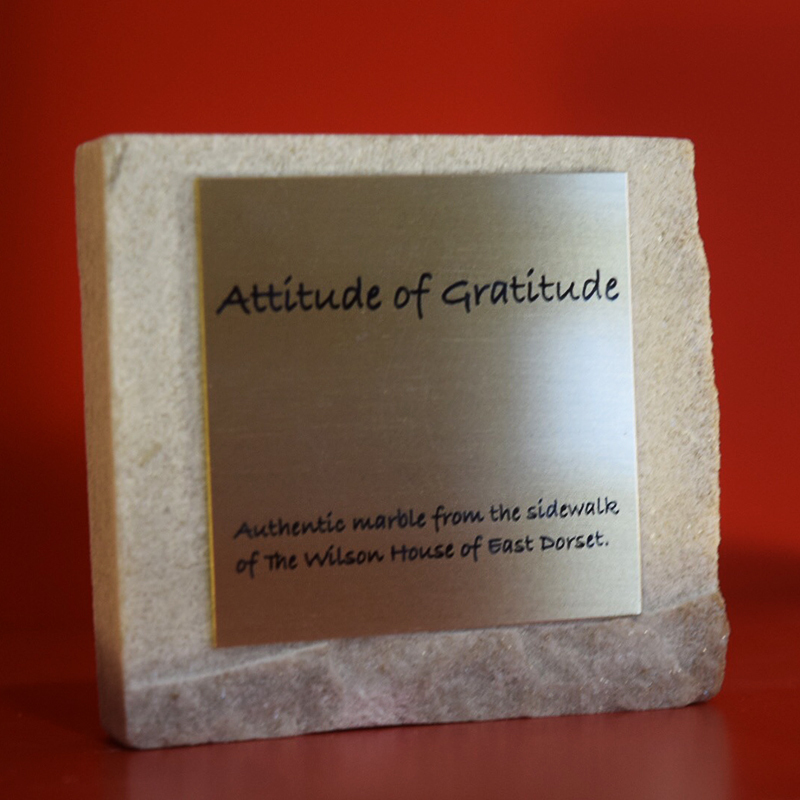 These are perfect gifts for anniversaries or other occasions. Sizes are approximately 3 inches by 4 inches. Paperweights come with a Certificate Authenticity. All marble is on a first come first served basis as inventory permits.